There is little debate about which Major League Baseball franchise has the most storied history of championships and larger than life legends. From Babe Ruth to Lou Gehrig to Joe DiMaggio to Mickey Mantle and so on, the Yankees have continually recreated themselves into champions. 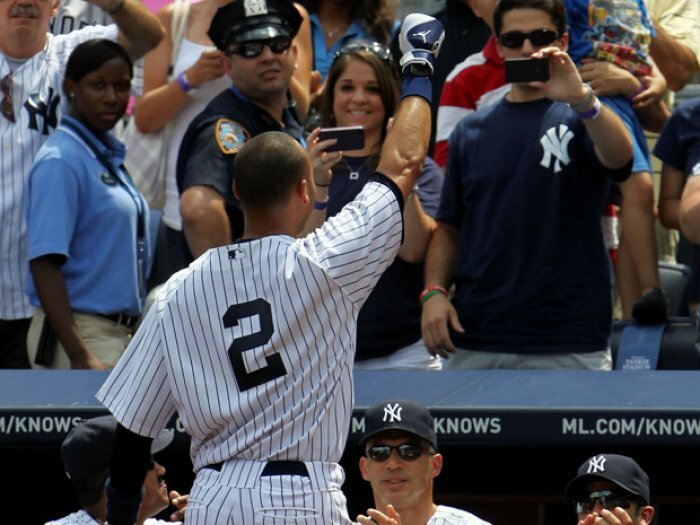 Derek Jeter was the latest sports superstar to call Yankee Stadium his playground. 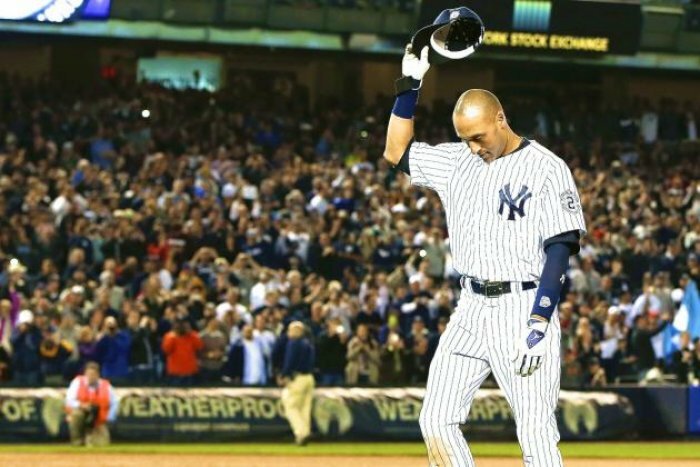 One of the classiest competitors to ever wear the pinstripes, Jeter’s final game was this past Sunday. To honor one of the greatest players to play the game, we have compiled a list of his most amazingly shocking moments on the diamond. In his final game before the hometown crowd, Jeter put on a show. 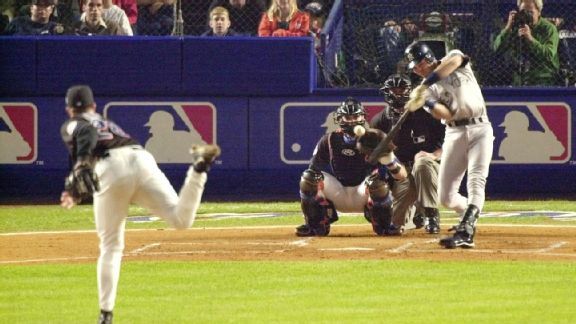 With the game tied 5-5 in the bottom of the ninth, Jeter knocked in the game-winning run. He finished with three RBIs on the night. A truly legendary ending to a legendary career. 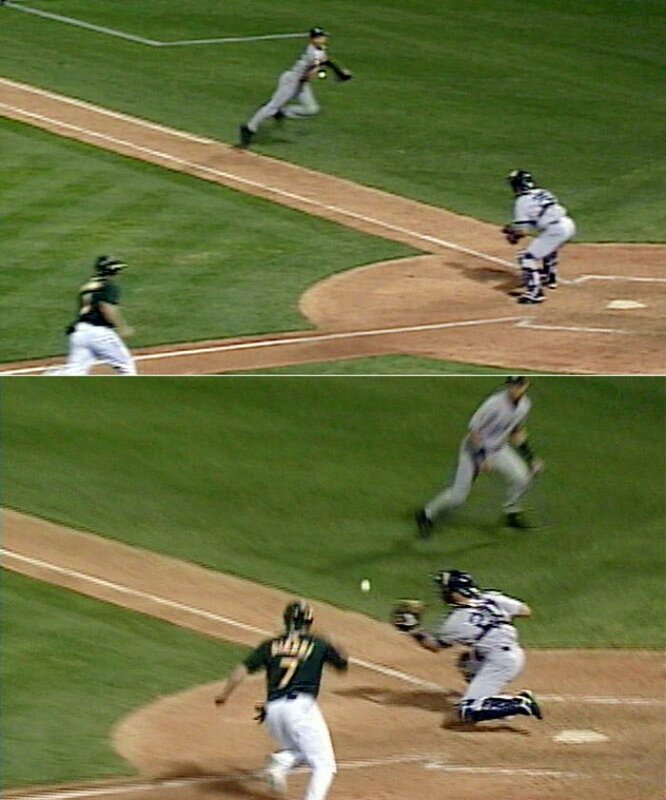 If you are looking for the most iconic play of Jeter’s career, look no further than “The Flip.” With the Yankees facing elimination in the 2001 ALDS and holding on to a tight 1-0 lead, Jeter sprinted over from shortstop to intercept a throw along the first base line that missed the cutoffs. He flipped the ball to Posada to get the runner out at the plate. In a 2004 game against the Red Sox, the game was tied in the 12th when Trot Nixon hit a seemingly benign foul ball into left field. Jeter, without any regard for his life or limbs, made the catch before flying head first into the stands from where he emerged bloodied and bruised. 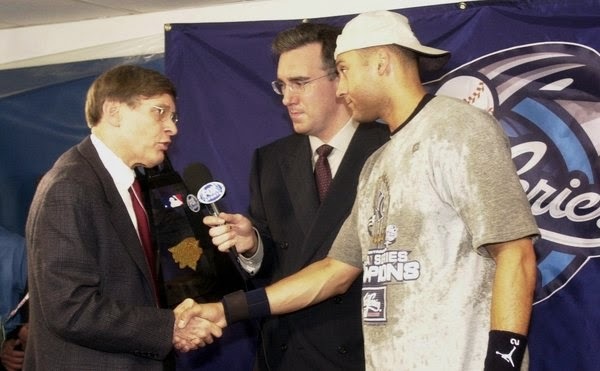 Reggie Jackson was Mr. October, and Jeter earned the moniker Mr. November just months after the 9/11 attacks, which pushed the World Series later. 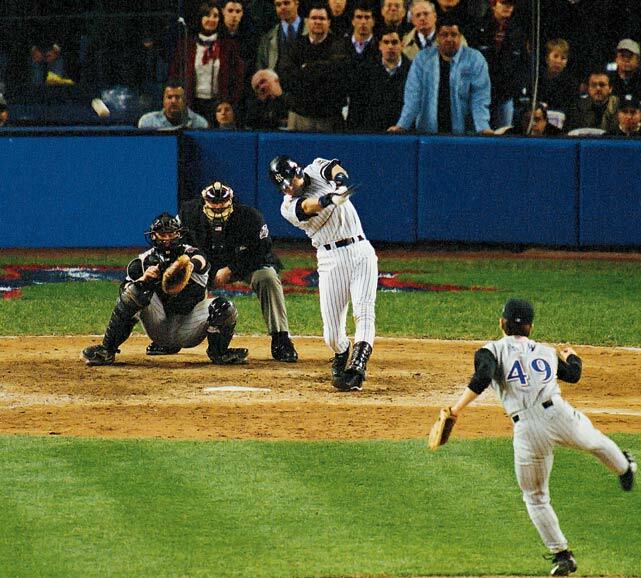 As the clock struck midnight to usher in November 1, Jeter smacked a game-ending home run. 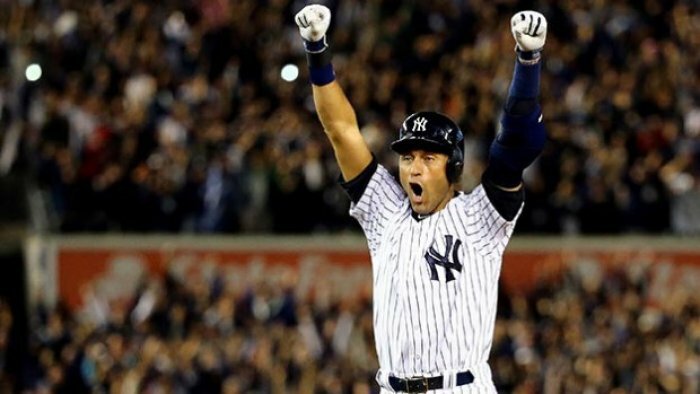 In 2011, Jeter became just the second player to hit a homer for his 3,000th hit. It was off Tampa Bay ace (and future Cy Young Award winner) David Price. Jeter finished the game five for five. On 9/11/2009, Jeter broke Lou Gehrig’s record for the most career hits by a Yankee. Let that sink in for a moment. This would be nothing if it were the Marlins. But no, Jeter has the most hits (by a significant margin) for the greatest sports franchise ever. In the first Subway Series since 1956, the Mets had all the momentum after winning Game 3. Joe Torre decided to move Jeter up in the lineup for Game 4. His gamble paid off immediately when Jeter hit a leadoff homerun to take back momentum and lead the Yankees to yet another title. Jeter already had a solid argument for being the 2000 World Series MVP, but his solo blast to tie up Game 5 of the 2000 World Series clinched the MVP for him and the Series for the Yankees.